Sahara reportedly pleaded for de-freezing of its bank accounts and properties, promising to submit Rs 2000-crore in cash from bank accounts within 7 days and to utilize 60 days to sell properties for raising money. It submitted documents showing existing availability of Rs 2,600-crore in the bank accounts. This case was previously being heard by a bench of Justice K.S.Radhakrishnan and Justice Khehar. However, a new Bench was constituted in the wake of Justice Radhakrishnan’s retirement and Justice Khehar’s recusal earlier this month. 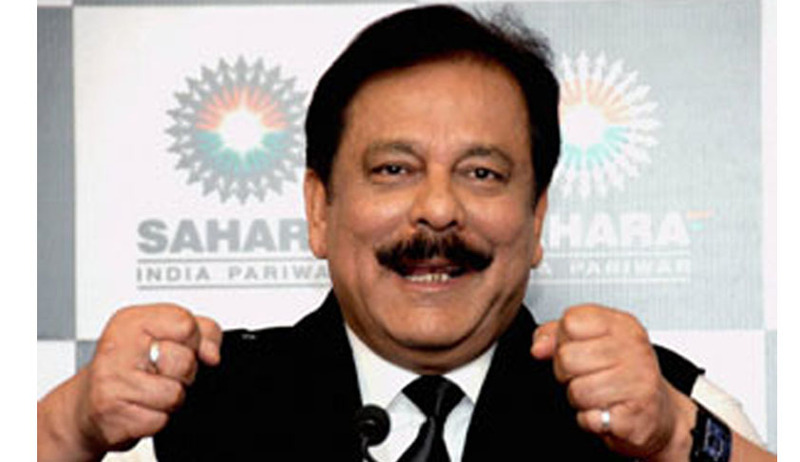 Live Law had reported on March 13, 2014, that Sahara group Chief Subrata Roy would stay in Tihar jail for some more time as the Supreme Court declined his plea for release on a personal bond with an assurance that he will not leave the country. The previous Bench reiterated their earlier order on April 16 when they asked senior counsel Ram Jethmalani if there was any proposal by the Sahara chief to deposit the balance of rupees 19,000-crore to SEBI for repayment of investors’ money. When Mr. Jethmalani told the Court that Mr. Roy was equipped to pay an amount of rupees 2,500 crore as part disbursement of the outstanding amount, the Court turned down the offer. This Bench, again on May 6, had penned the noteworthy judgment which had lengthened the Chief’s stay under custody. It had rejected his plea challenging its March 4 order detaining him for not abiding by the order to return investors money by steering it through SEBI. Justice Khehar in this judgment had said, “We won’t allow Bench Hunting, Bench-Hopping or Bench Avoiding” Read the Livelaw story here. This earlier Bench had come down heavily on the Senior Counsels by saying that “if it was learned counsel’s posturing antics, aimed at bench-hunting or bench-hopping (or should we say, bench-avoiding), we would not allow that. Affronts, jibes and carefully and consciously planned snubs could not deter us, from discharging our onerous responsibility” Justice Jagdish Singh Khehar, had then told the registry that in future, no matter with regard to the Sahara Group Company should be placed before a bench of which he is a member. The next date for the hearing will be announced next week, while Subrata Roy and the two directors continue to remain in custody.